Whether you call them gift vouchers, gift card or gift certificates, a gift of pre-paid escape room adventure is a great idea! If someone amazing has given you the gift of pre-paid escape room fun you can redeem your escape room gift here using the "Redeem Gift Voucher" prompts in our escape game booking system. Simply use your voucher code to apply the gift card, gift certificate or gift voucher amount and continue through the escape room booking process. Contact us with any questions and we look forward to seeing you for your escape room experience! We opened our second Cleveland area escape room location, Escape Room Strongsville, in June of 2017 to add five more high-quality escape room adventures. 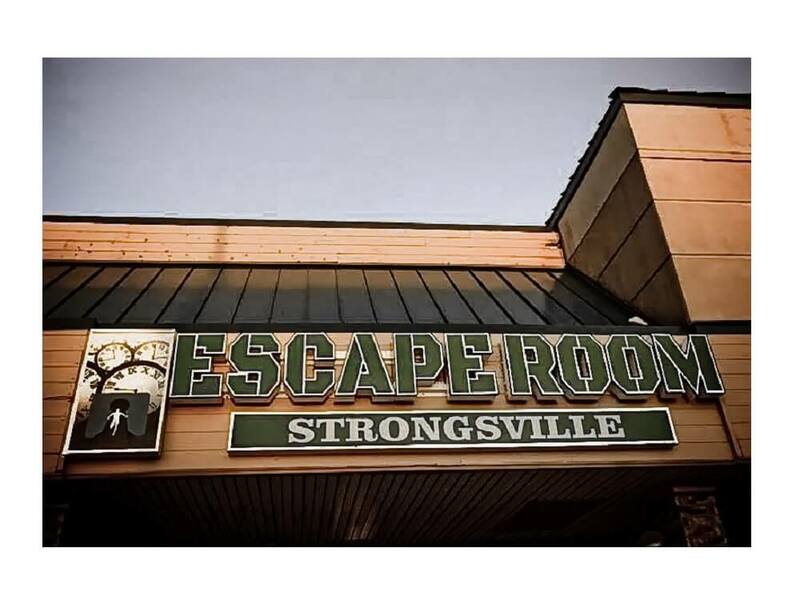 Located in the Strongsville Towne Center plaza, around the corner from the SouthPark Mall this escape room is within minutes of fine dining at Don's Pomeroy House, Michael Symon's famous B Spot and local brewery Brew Garden for an easy date night or group activity and within walking distance of McDonald's and across the street from Panini's Bar & Grill to simplify a family fun night, birthday party, corporate team building, or a memorable date night.